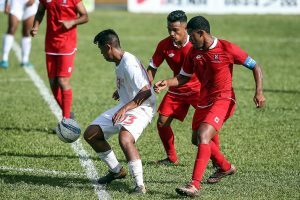 Despite heavy losses to New Zealand and Papua New Guinea, Tonga midfielder Jacob Kilmartin believes accepting the invitation to join Tonga’s U-19 squad was one of his best decisions in his life. Born in Dublin, Ireland but residing in California, USA since he was five years old, Kilmartin plays his football with Castro Valley FC. “Before I left home to join the team, I was very stressed because I didn’t know if the Tongan team would accept me, and what would be their reaction,” Kilmartin said. Despite his initial fears, the typical Tongan welcome had Kilmartin feeling like he is among family. “I wish my parents were in Auckland to see how the Tonga team welcomed me, the way they received me it’s like we knew each other before,” the 17-year-old said. The midfielder said the adjustment to the “Tongan way” has been an adjustment but one he is thoroughly enjoying. 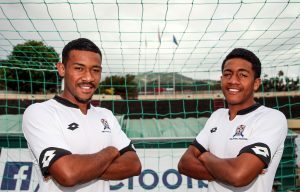 “I knew this kind of attitude shown by the Tongan boys weaves what they learn at home and the Tongan culture,” Kilmartin said. Being based in the USA, this is Kilmartin’s first experience of Oceania football and he’s been impressed by what he has witnessed so far. “I could see the level of football here in the Oceania is very high, just the few games I watched I never expected the level would be that great, it’s very entertaining too,” he said. “The PNG players were very fast and skillful and very physical as well. The Tahitians and the Kiwis they were tremendous. Overall, I really have experienced good moments and I have treasured that,’’ he said. 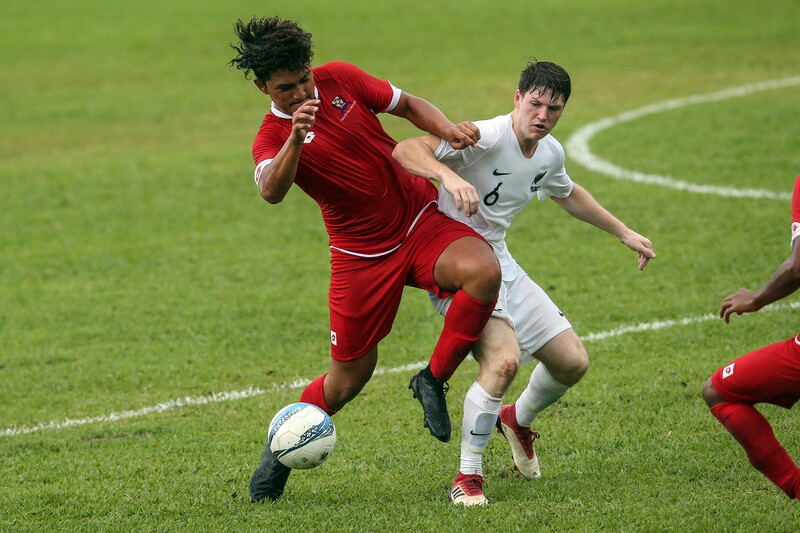 Kilmartin expressed his gratitude to Tonga Football Association, U-19 team manager, Fililangi Ta’asi, team officials, the team captain Sione Tu’ifangaloka and the rest of his teammates for giving him the opportunity to represent Tonga in this championship, and accepting him as one of them. 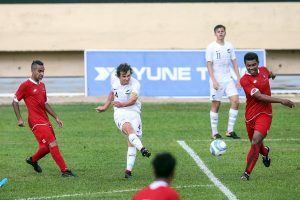 “At the end of this championship I will go back home and continue playing football in the States, and if the opportunity arises to join team Tonga again, of course I will come,” Kilmartin said.